There are certain things you need to know before you replace your home’s roof. A roof replacement is a huge investment in your home, and you’ll want to get value for your money. 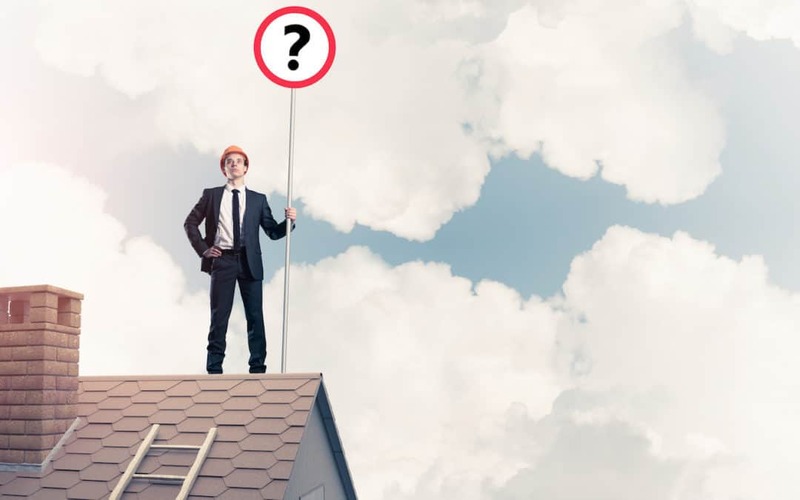 There are plenty of Orlando roofing companies, so how do you know the Orlando roofers your selecting are the right ones for you? Also, what needs to be done before the work starts, while it’s being done and after it’s completed? The following will answer these questions. Just like the order of operations in a mathematical problem, repairs on your home also have to be done in the right order. For instance, if the foundation of your home also needs to be repaired, you should do this prior to replacing the roof. The reason is that if you do your roof before doing the foundation, the foundation work could buckle or otherwise damage the roof. Do a bit of research before contacting a roofing company. For instance, if you’re considering a skylight you should know that there is a difference between a glass, double pane, low-E skylight, and an old-fashioned plastic, opaque skylight. The older plastic type skylight is not as well insulated against sound and temperature. Orlando roofing companies often have to deal with inclement weather. Certainly, you’ll want to protect your roof from the wind and driving rain. A peel and stick type underlayment can serve as a water barrier when rain is being driven up underneath the shingles. One of the best features of this kind of underlayment is that it is self-healing. Meaning it can heal itself, sealing off small holes caused by screws or nails during the installation process. Knowing precisely what it is you want before you contact at contractor can save you a lot of time, trouble and money. In addition to this, if you change your mind in the middle of the project, the entire job may have to be put on hold – which will only add to your cause. So it’s better to determine exactly what direction you want things to go at the very beginning. Check for reviews before getting any bids on your project. If a roofing company has a low rating on things like Google and Facebook, then you’ll want to avoid using that company. Be sure to check things like the Better Business Bureau as well. Also, any roofing company you are considering should be fully insured, bonded and licensed. Particularly following damage caused by large storms, questionable roof replacement crews can arrive in damaged areas that may have little to no experience. These individuals simply have the goal of gouging you for as much money as they can get, so you’ll definitely want someone you know is really qualified. Choosing to hire the contractor offering the lowest possible bid is often a huge mistake. In many cases, if you do this you will find yourself forced to fire this company and hire someone else mid-project. This doesn’t mean you have to choose the highest bid either, but you do want to hire someone from the very beginning who has knowledgeable, experienced workers who are happy to answer all of your questions. Knowing that your project is in good hands is worth paying a few dollars more. You want to have a checklist to go over with each company offering a bid. This is one way to be sure that you’re comparing the same things when you review the bids from roofing companies. On your checklist, you should verify that the company offers a warranty. You’ll also want to know if the city requires a permit for the work you’re doing. Time and schedule will also need to be perfectly clear. As a part of this checklist, you’ll also want to designate exactly who is buying which materials. In some cases, you may decide that you want to buy all of the materials yourself. On the other hand, in some cases, the owner will only focus on buying it a skylight or some other small feature. It’s also important to go over the manufacturer’s warranties to ensure that the materials or items being installed are being done so according to specifications laid out by the manufacturer. Otherwise, your warranty may be voided. Ensure that the manager on your project and the crew understand that all of the loose staples and nails need to be removed. Any that are left behind will easily cause problems later. For instance, if they’re all cleaned up, no one can step on them and damaged the new roof in the process. Also, someone will need to take a magnetic sweeper at the end of the project and go around the yard to ensure that all of this hardware has been cleaned up. If you’re going to have a dump trailer position near your home during this project, is it going to be sitting in the driveway or will you position it somewhere else? If this heavy piece of equipment is going to end up in the driveway, make sure you have moved any vehicles from your garage and driveway prior to the arrival of the dump trailer. Also, what is the contractor going to do to protect your gutters – assuming you have gutters. You don’t want to add the additional cost of gutter replacement if it isn’t necessary.